For your seminar, conference or workshop, your anniversary, wedding or birthday celebration – at Dortmund Airport your event takes place at the heart of the fascinating airport environment. Various areas are available on the gallery level (Level 2) of the terminal to suit the occasion, the scale of the event and your budget. And always present: the panoramic view of the apron at Dortmund Airport. 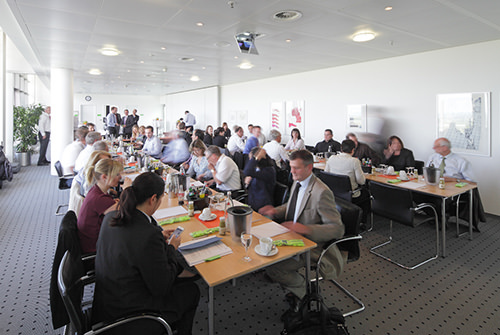 The catering and conference rooms on offer at Dortmund Airport are operated by a team from cateringmanufaktur. With their smooth and professional service, you and your guests will always be in very good hands. 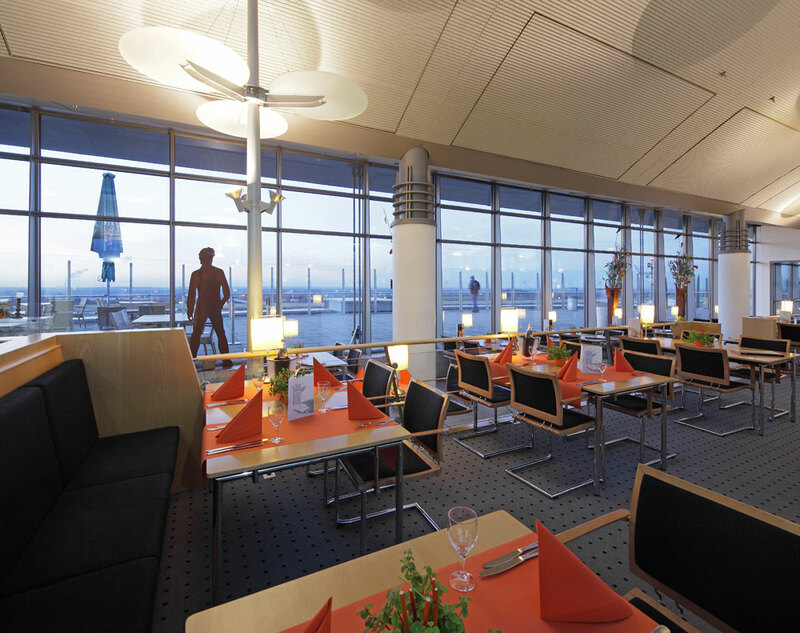 All rooms offer a panoramic view over the apron of Dortmund Airport. 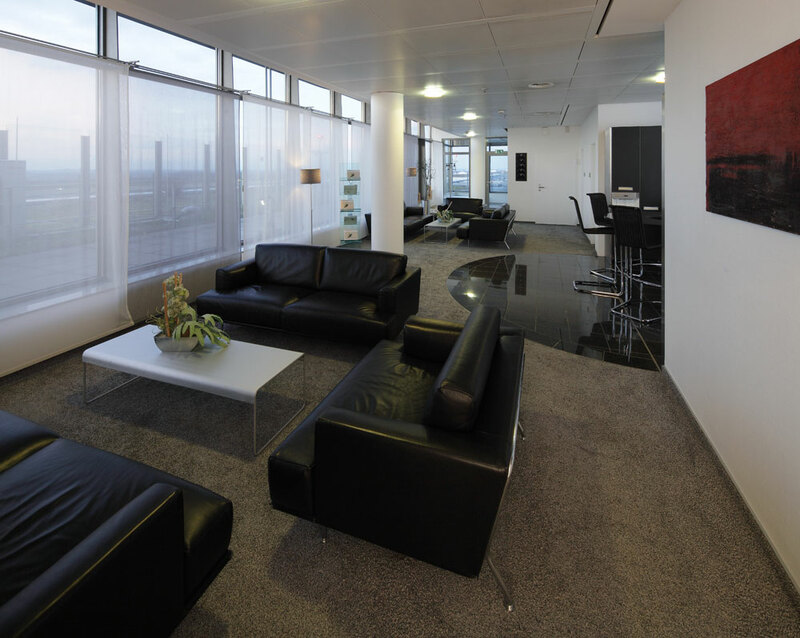 The conference rooms and VIP room are flooded with light, but can be darkened if required. Conference Rooms 2 and 3 can be merged into one. This extends the event area to 142 m², with capacity for up to 110 persons.